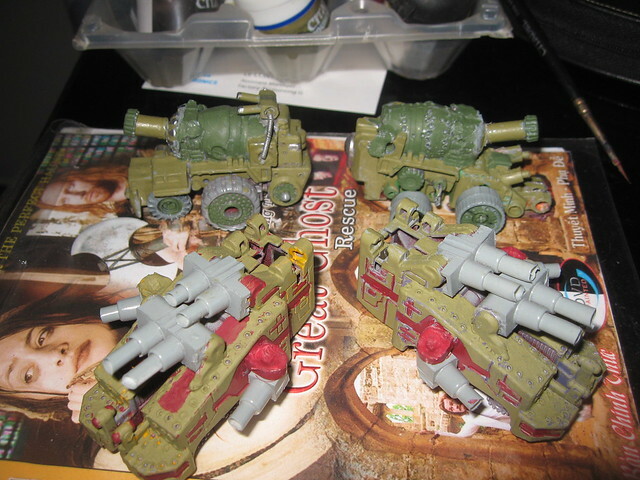 My ongoing attempts to build and paint a Chaos titan legion and a planet's worth of Dark Ad-mech demon engines. This list started in 2012, took a brief hiatus for 2013 and is now back with a vengeance! This first section will be for models I'll need to playtest the Stygian Abyss Demon Engine list, and very possibly some chaos titans too. Last edited by madd0ct0r on Sat Jan 04, 2014 1:05 pm, edited 3 times in total. 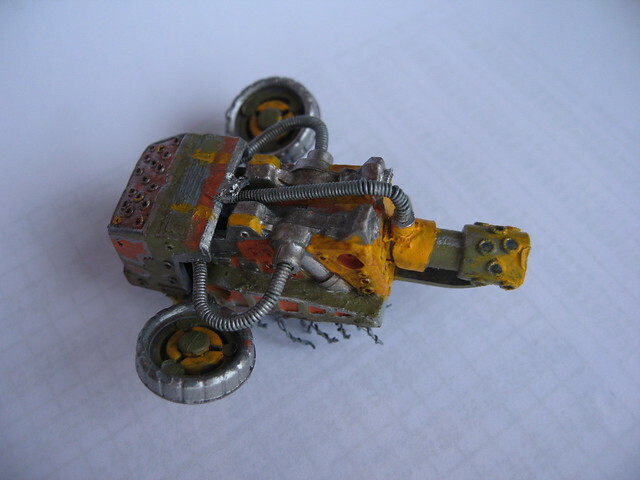 Similar to their much smaller cousins the doomblaster, these Khornate tanks roll steadily across the battlefield, hammering the opposition with heavy shell after heavy shell. These shells rely on deadweight to punch through enemy armour, but explode into black needles amongst infantry. In the case of a direct hit, a red mist fills the air whilst the engine growls its approval. Their creator refers to them as 'Gorebreather' and 'Goreblaster' respectively. 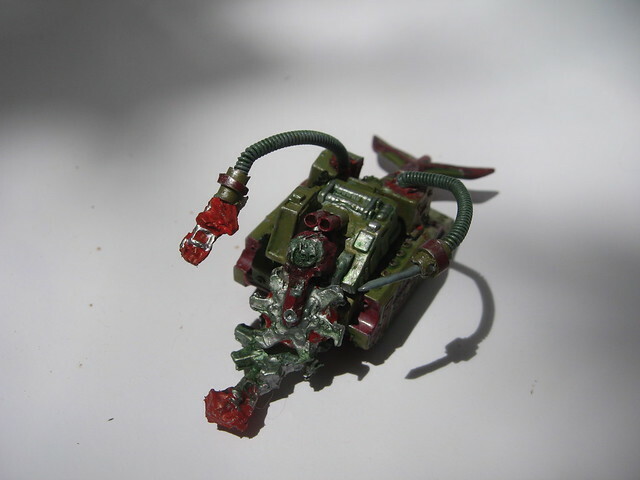 Also tied to Khorne is this demon engine, known amongst its acolytes as 'The Red Wake'. 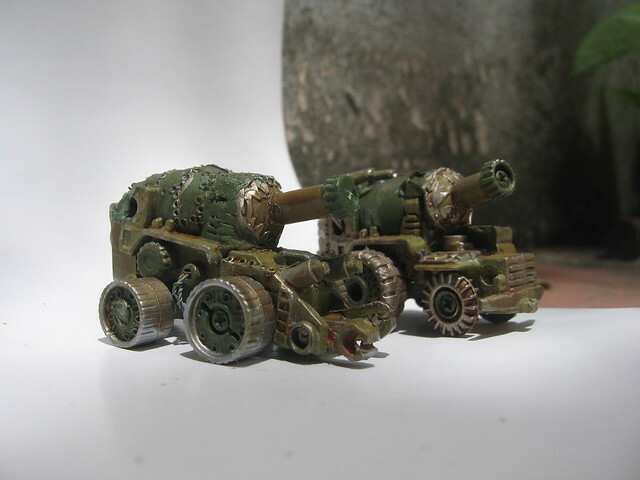 Advancing through walls of fire, two small cannons pepper the opposition whilst the twin mounted chopping blades scream their admiration for the Blood God. 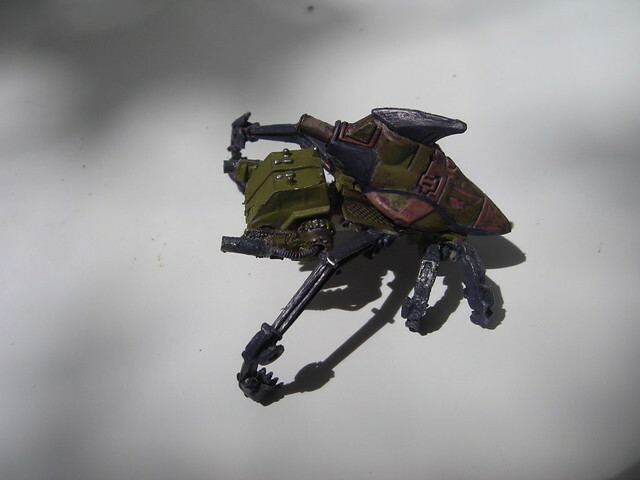 The two servo arms are used to gather enemies into its whirling embrace. 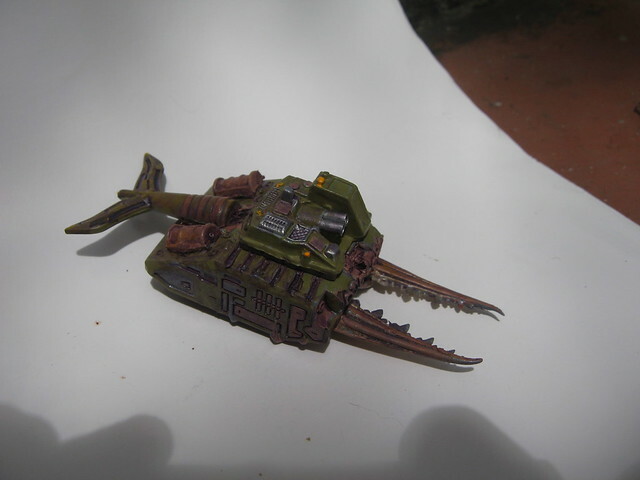 Based off the same chassis, but this time dedicated to Slaanesh, this super heavy tank has manifested powerful jaws. Unlike it's Khornate brother, these claws are better suited to puncturing and corrupting the larger war engines, even titans. 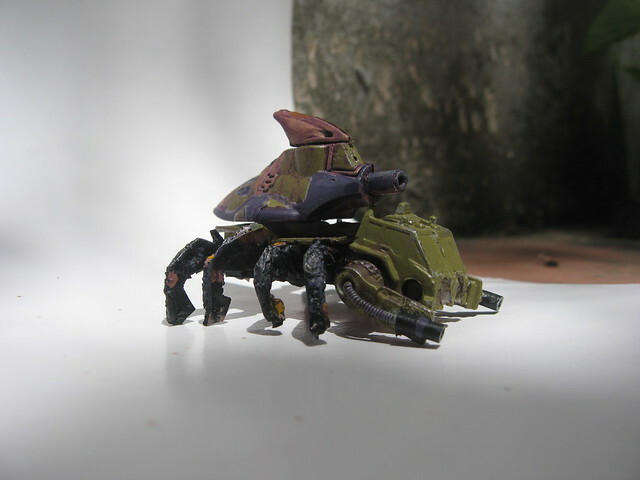 The 'Schadenfreude' exists only for that moment when it can feast on the essence of a worthy fallen adversary. 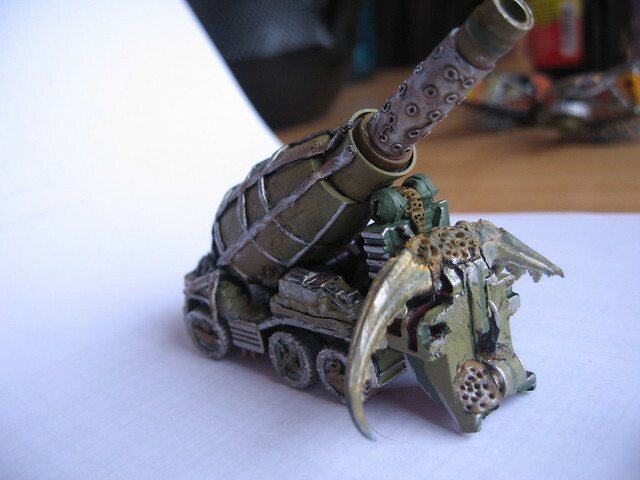 Nurglite engines often rely on huge tanks of foul liquids for ammunition. Either fired in a high precision stream over vast distances, or emptied out over the foes in a broad area there are few things more disruptive to a formation. 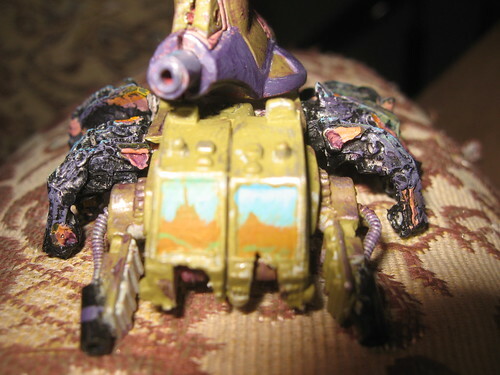 These engines have not been carriers of Nurgle for long, and are only just developing the growths and damage that mark most such engines. They have no names and trail despair in their wake. 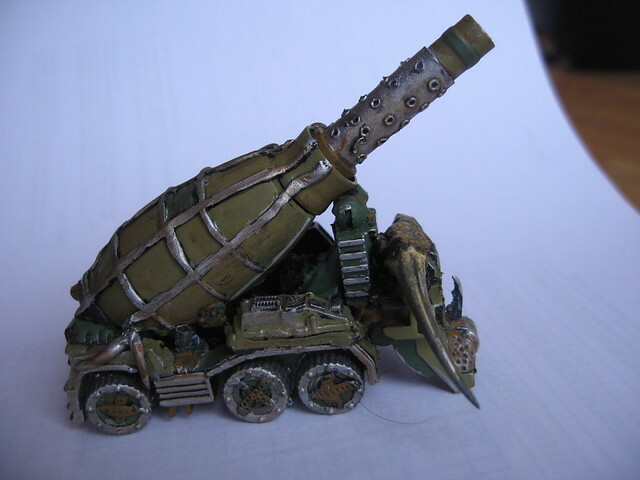 [I] It is currently unclear whether these machines are bound to Tzeentech or Slaanesh, but the single heavy bore cannon they bear suggests the former. 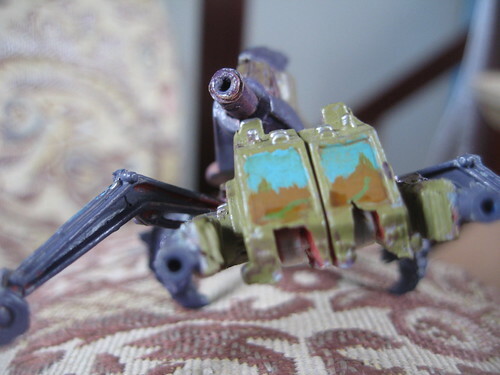 It appears that under the pressures of warfare even cargo haulers were pressed into use as gun platforms, with the spindly limbs growing under the demon's influence. 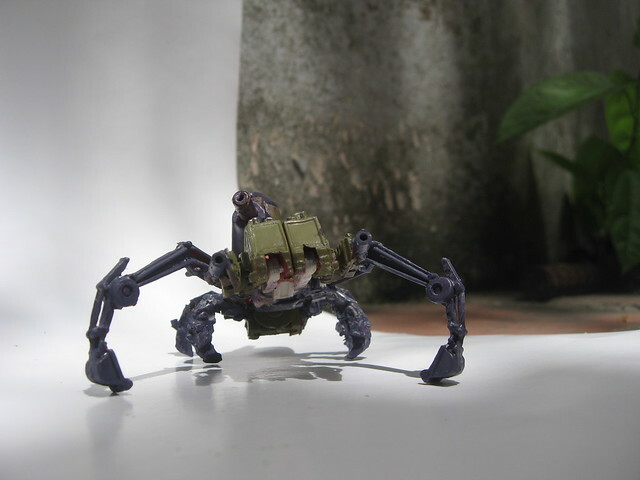 'Octagath' and 'Hexagath' are now far removed from what they once were and skitter across the battlefield like soldier drones from a monstrous hive. I really need help with these windows – the easy option is black, with reflective and earth-sky highlights also possible. But these are demon engines, their 'eyes' should be more characterful then that. Any ideas? Finally, a tzeentechian Firewhale guards the sky, raining unnatural warpfire down upon those who meddle in the ways of the present. who thought earth sky could be this simple? 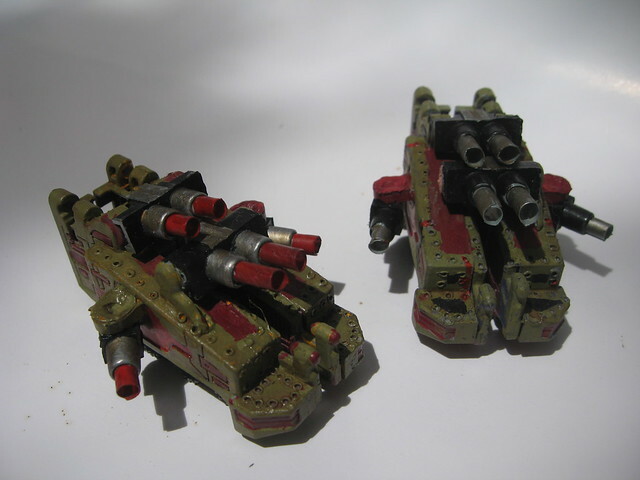 that makes 8 finished war engines* - lesser demon engines. = 1704 points, 32 DC for this month and the last two. bingo! *I'll keep tweaking the flyer. I'm going to have to play a semi joker this month. 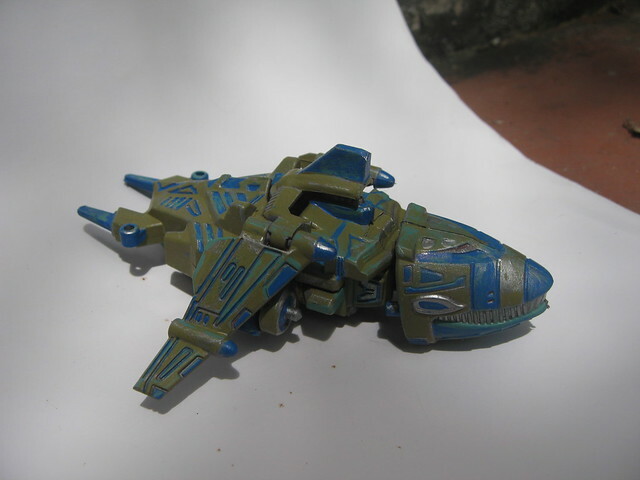 I have finished painting two Tzeentechian skimming warpfire spewing lesser engines, but I hate the way the paintjob* has come out, so they'll be getting redone. 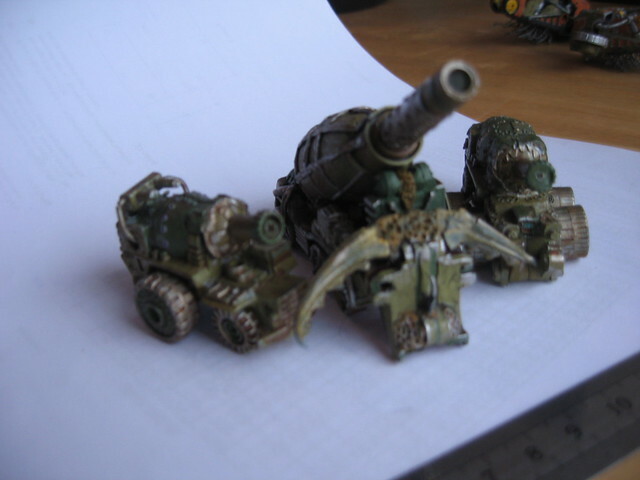 I've also finished a greater engine (twin nurgle cannons) but all my paints are packed so nothing more will be happening until I've landed back in the UK and got a flat and some spare time. 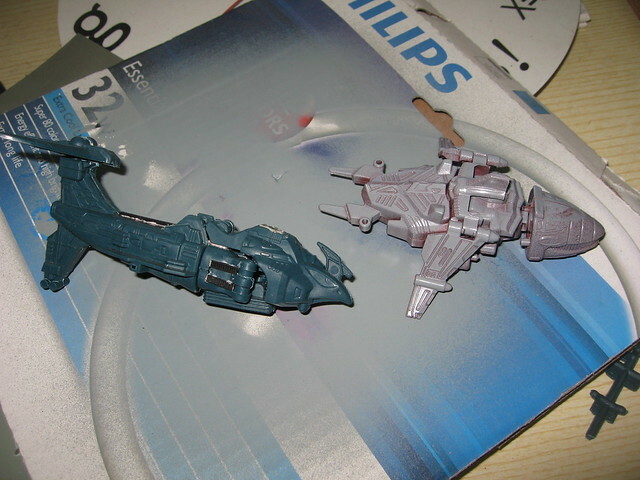 Even after repainting, they still look pretty terrible. um, help? Cannon looks good, not sure what to recommend on the tzeentch though. 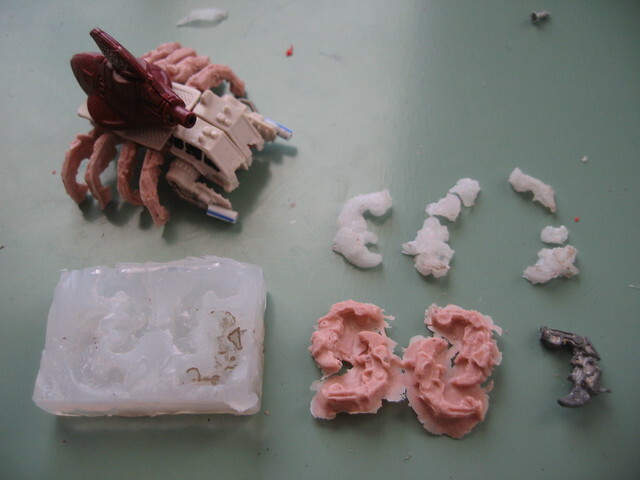 Neatening up some the mould lines/joins and geting flatter paint on might help? 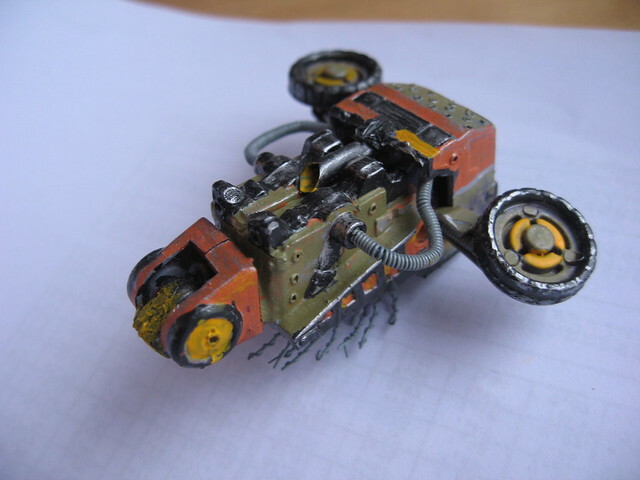 Try a tan undercoat beneath the yellow to get a better covering. What could be in the works? A south-park incarnation of a keeper of secrets?